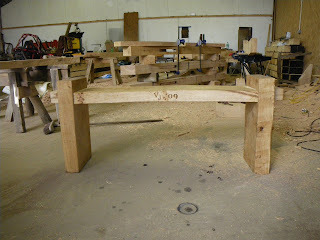 In the little gaps between large scale oak framing work, there's still smaller projects coming out of the workshop in Falmouth, Cornwall. 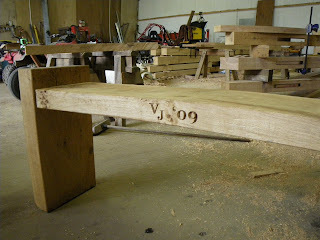 I had long wanted to make a garden bench along these designs, from large clean slabs of green oak with wedged through tenons. When an old family friend recently married, I had my opportunity... Best wishes Jon and Viki.